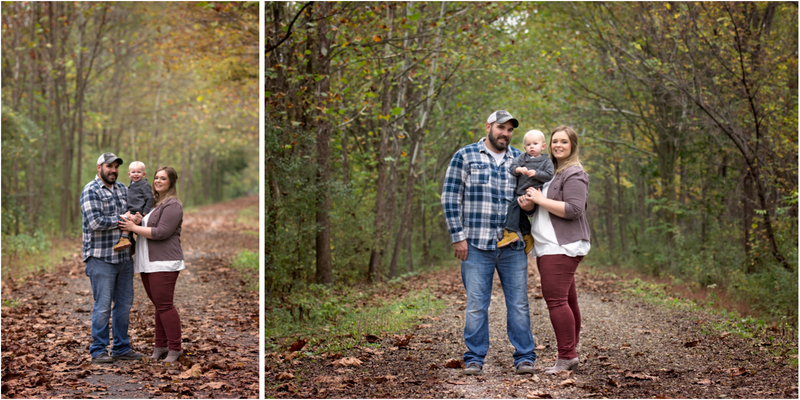 When I was asked to photograph this family's fall photos, I was super excited. 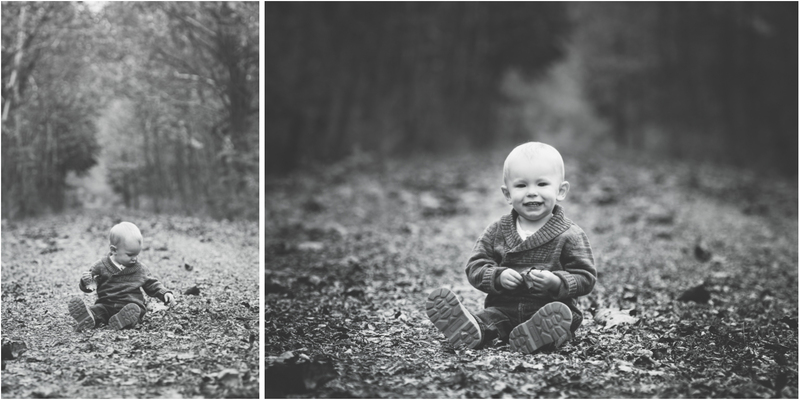 It was about a year and a half ago that I photographed sweet Emmett's newborn session. 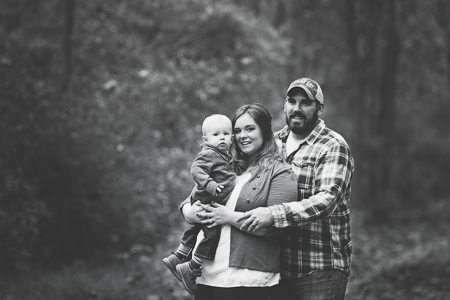 One of my favorite things about newborn and family photography is the opportunity to watch these families grow. This location just outside of Jersey Shore is one of my favorites in the fall. The trees seem to frame the trail and subjects as well as supply ample amounts of shade and protection from harsh sunlight. 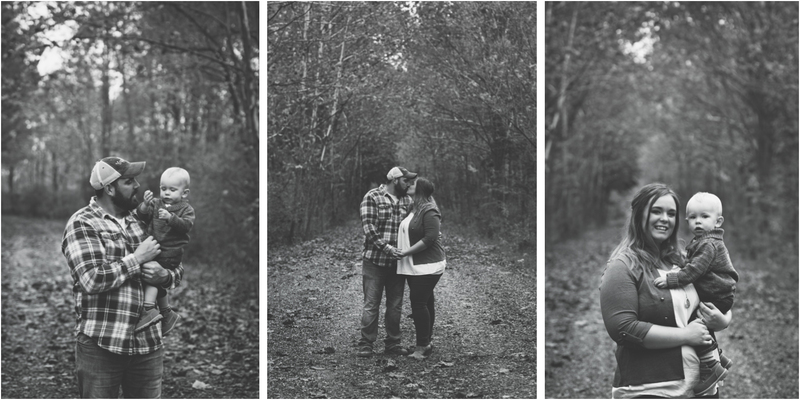 While it was a cloudy day for this specific session, the trees were nevertheless perfect for their foliage. 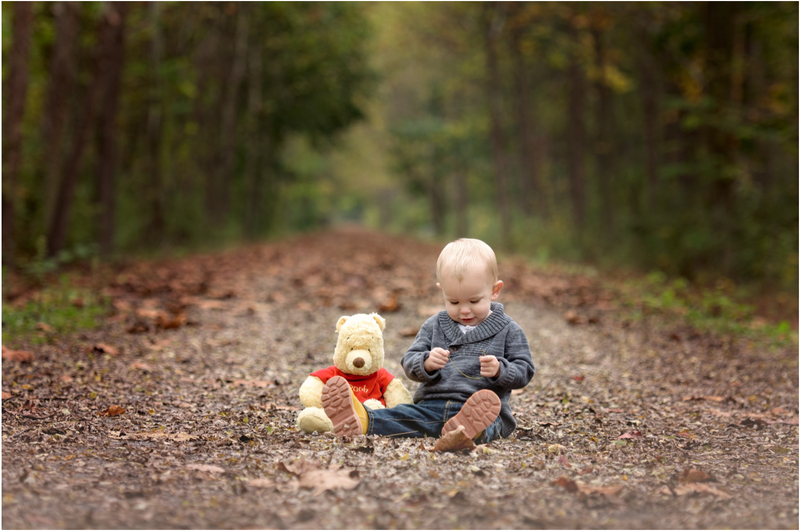 Little Emmett brought along his BFF, Pooh Bear. I just had to get a photo of the two of them. I am sure that those images will be treasured for years to come. Below are some images from their family gallery. Enjoy! That shot of the little guy with Pooh is just TOO cute!! And I love that they wanted you to be their photographer again after doing his newborn session! How far from Williamsport PA was this location for you? 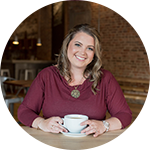 I love how this family just pops in your portraits as their photographer! That Williamsport pa fall is so lovely! 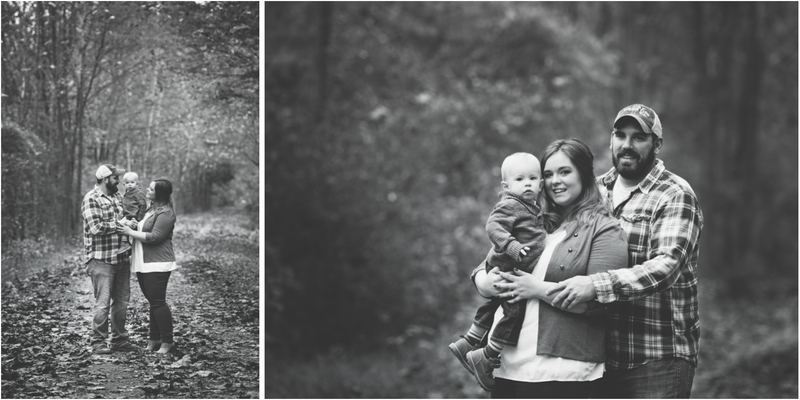 I love everything about this family session in Williamsport PA! They are lucky to have such a wonderful photographer like you! !